If you want to improve the appearance of your smile, call our Palm Desert dental office at (760) 394-3088. While here, we can examine your smile and provide you with more information about Lumineers. This is an excellent solution for addressing a variety of aesthetic issues and at Robert Daddio D.D.S. & Associates we have found that our patients appreciate how convenient the procedure truly is. 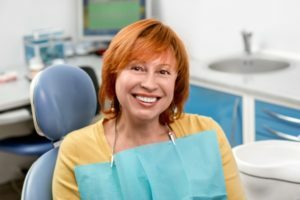 When you have stained, cracked, or chipped teeth, you need to decide whether you want to replace them or use Lumineers to restore them. At Robert Daddio D.D.S. & Associates, we realize the many benefits of keeping your natural teeth intact and recommend that you select the restoration option whenever possible. To learn more about this amazing solution, call 760-394-3088 and schedule an appointment with our Palm Desert, CA dental office. We are confident that you will enjoy the many benefits offered by Lumineers and the fact that the procedure is far more comfortable than other cosmetic solutions. At Robert Daddio D.D.S. & Associates, our goal is to give you a smile that you can be proud to show off, and this is one of our most popular ways of doing so.